Anne-Sophie Mutter is this year's recipient of the International Ernst von Siemens Music Prize, which comes with a cash endowment of 200,000 euros. 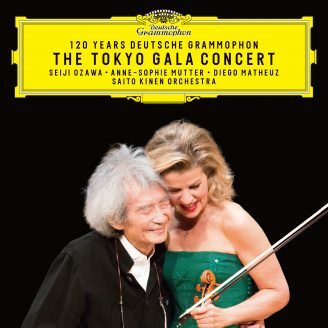 The violinist is donating half of the prize money to the "Anne-Sophie Mutter Foundation", which was officially recognized by the German government on July 7, 2008. The objective of the foundation is to further increase worldwide support for promising young musicians - a task which the violinist took on when she founded the "The Anne-Sophie Mutter Circle of Friends Foundation" in 1997. Anne-Sophie Mutter is this year's recipient of the International Ernst von Siemens Music Prize, which comes with a cash endowment of 200,000 euros. 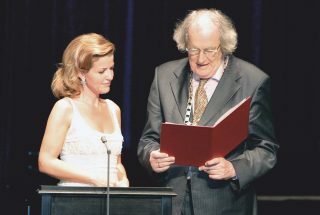 The violinist is donating half of the prize money to the "Anne-Sophie Mutter Foundation", which was officially recognized by the German government on July 7, 2008. The objective of the foundation is to further increase worldwide support for promising young musicians - a task which the violinist took on when she founded the "The Anne-Sophie Mutter Circle of Friends Foundation" in 1997. The Bavarian Academy of Fine Arts presented the coveted award to Anne-Sophie Mutter on April 24, 2008, at a ceremony in Munich's Jugendstil landmark, the Münchener Kammerspiele. The eulogy was delivered by Joachim Kaiser. The music prize, which is named after its creator Ernst von Siemens, the grandson of company founder Werner von Siemens, has been awarded annually since 1972 to a composer, performer or musicologist who has made an outstanding contribution to the world of music. The so-called "Nobel Prize for Music" continues to gain in international recognition with each passing year. "Anne-Sophie Mutter is one of the few artists capable of blending talent, artistic character and naturalness with immaculate technique, inner feeling, emotion and reason. She plays with a unique warmth, soulful tone and direct expression of feeling combined with an impressive and frequently fiery temperament," according to the Ernst von Siemens Music Foundation press release the announcing the winner of the 2008 prize.